This year Ashfold entered two teams for the area heat of the Quiz Club National Inter-Schools Championship. Each team comprised four pupils, one from Form I, one from Form II, one from Form III and one from Form IV. This is a hotly contested national inter-school quiz with strategy and teamwork playing as much a part as general knowledge. There were ten other teams at our heat, played at Davenies School. The 40-question quiz was both challenging and exciting, and although we did not win, both the Ashfold teams thoroughly enjoyed the experience. The children were also very well behaved and a credit to the School. 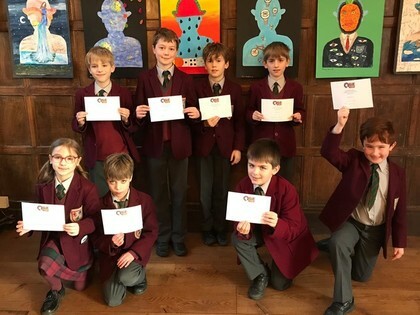 Well done to Freddie, Alexander, Daniel, Tom, Ben, Nicholas, Oliver and Esmée.